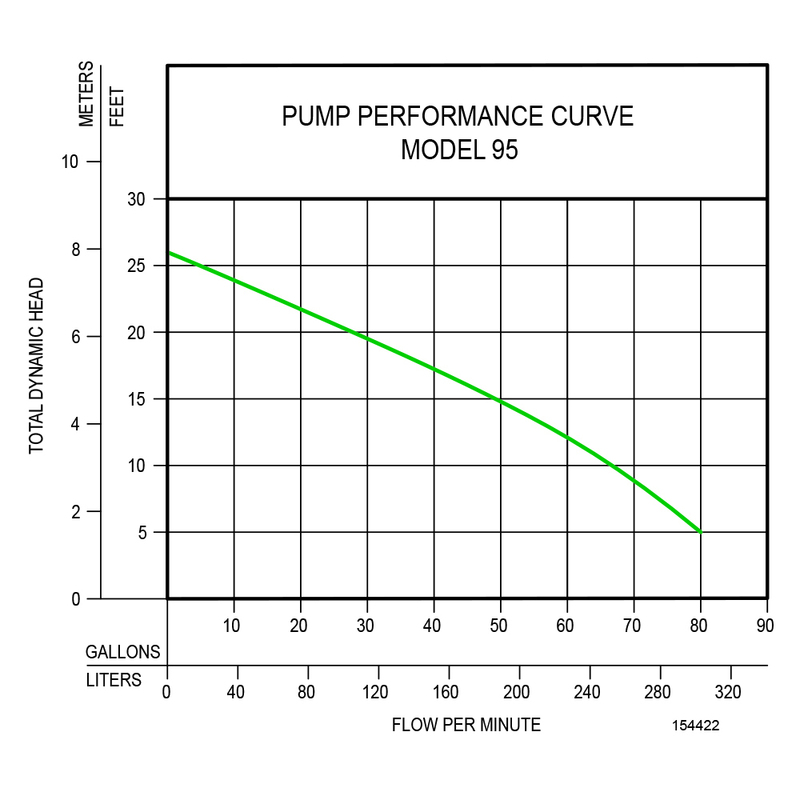 Learn More about the new Premium cast iron 5 year warranty Zoeller M95 Sump Pump Flow Mate with its features, specifications, reviews, manuals, and parts. Shop Best Rated M95 discount price. Read more to find out for yourself why this Premium pump is a growing favorite with consumers. DESCRIPTION: The Zoeller M95 Premimum Flow Mate is known for its quality cast iron construction and 5 year warranty. It is becoming a best seller and best rated submersible sump pump among those with the following features: 1/2 HP, Cast Iron Housing, Vertical Float Switch, 3960 GPH and 66 GPM @ 10 Foot Vertical Height, 5 Year Warranty, 15 Ft. Power Cord, Green LED plug showing power to the pump, with 1 1/2 inch Discharge Port. Since M95 Mighty Mate Premium is new to the market, only one part is available through Amazon in 2018; however as time passes more parts will become available. Parts can be purchased directly from Zoeller Pump Company. – ✓ Less Height: 10-1/16 in. – ✓ Less Max Head: 19.25 ft.
– ✓ Less Weight: 28 lbs.